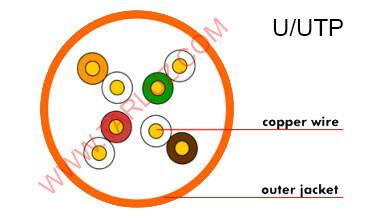 Home / TOPICS / Copper Cabling / Do you know all these 8 types of copper patch cable? 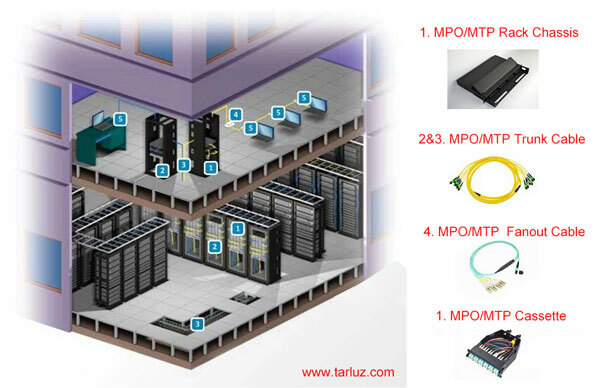 Since twisted pair used in the data communication network, there are many types of terminology like UTP, STP, FTP etc for describing the twisted cable, these cables are used in the different environment like the high-performance data center, enterprise machine room, manufacturing facilities etc. Based on ISO/IEC 11801, there are 8 types of cables, please refer to the following table for a brief understanding. 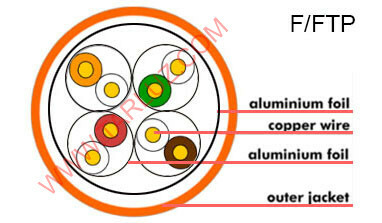 U/FTP: No cable shielding or braid (U) with foil screened twisted pairs (FTP), with common names like the shielded twisted pair, screened twisted pair or pair in metal foil. 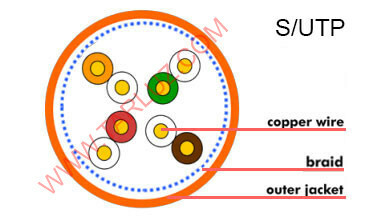 This type of shielding protects the copper cable from external EMI entering or exiting the cable and also protects neighboring pairs from crosstalk, it is commonly used in 10GBaseT applications as well. 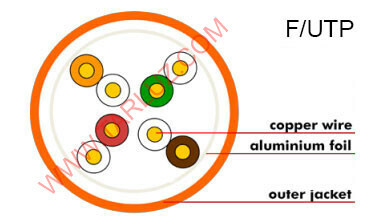 F/UTP (FTP), An cable foil shield (F) with unscreened twisted pairs (UTP), with common names like foiled twisted pair. 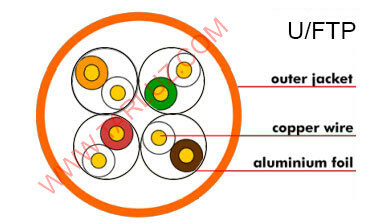 This copper cable is similar to the standard UTP cables, the 4-pairs twisted pair wrapped by foil, and the foil covered by cable outer jacket. 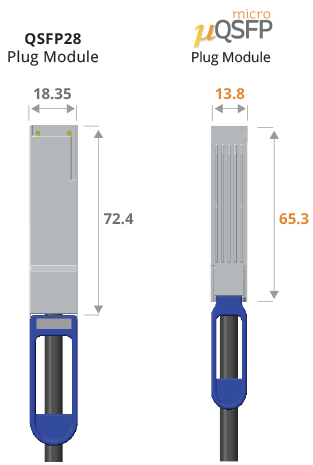 F/UTP cables are common in 10GBaseT applications. S/UTP, An overall braid screen (S) with unscreened twisted pairs (UTP). This cable sometimes referred to as an STP cable, but this cable might be different than the cable structure the customer prefers. To be sure, always check to see whether your cable will have any kind of overall barrier and whether the individual pairs have their own shield. 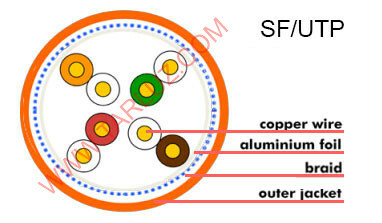 SF/UTP, Both an overall braid screen (S) and a foil shield (F) with unscreened twisted pairs (UTP). 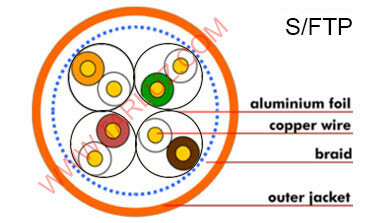 This cable is also sometimes referred to as an STP cable. Cables with an overall braided screen are very effective at protecting EMI from entering or exiting the cable. 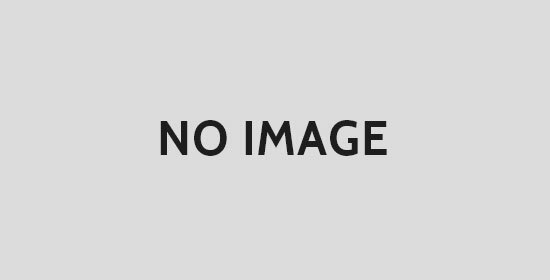 S/FTP, An overall braid screen (S) with foil screened twisted pairs (FTP). The “shield” underneath the outer jacket is a braid, and each individual pair is wrapped by its own foil. The purpose of the additional foil on individual pairs is to limit the amount of crosstalk between them. F/FTP, An overall foil shield (F) with foil screened twisted pairs (FTP). 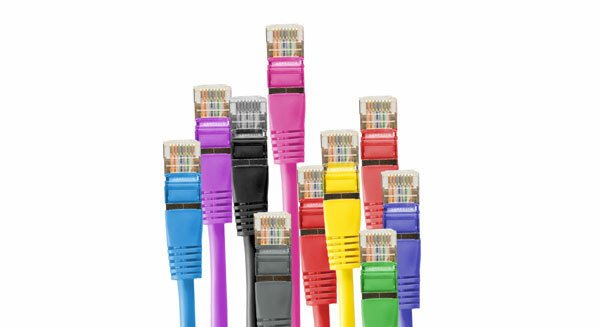 Similar to F/UTP cables, these shielded cables are commonly used in 10GBaseT applications. 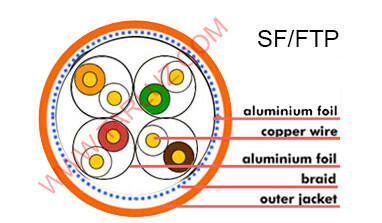 SF/FTP, An overall braid screen (S) and a foil shield (F) with foil screened twisted pairs (FTP). 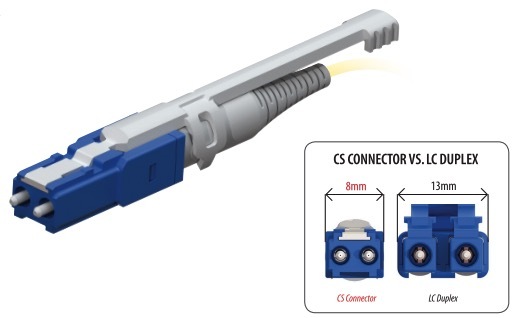 Most well-shielding cable with best crosstalk protection among neighboring pairs, these shielded cables are commonly used in 10GBaseT applications.